Union Public Service Commission is going to conducts CISF AC (EXE) LDCE-2019 examination for the recruitment of various individuals at Assistant Commandants post. The UPSC CISF AC LDCE 2019 Notification is available on the official website. The date of the examination has also announced by the organization. The examination is scheduled to be held on 03 March 2019. 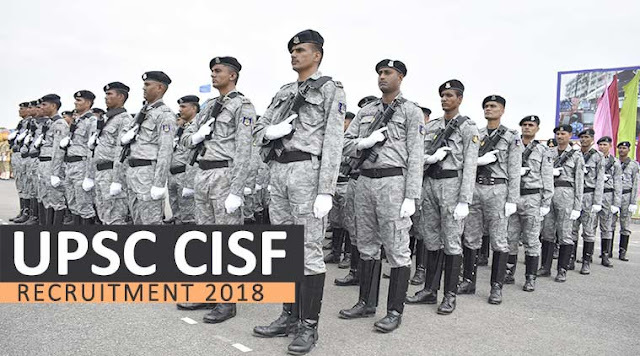 Candidates who want to apply can check the eligibility terms and apply for the UPSC CISF AC LDCE 2019 examination by filling an application form from 05 December 2018 to 31 December 2018 till 06:00 PM. Candidates also have to take a hard copy of filled application form and submit the same at the below-stated address before 08 January 2019. Now go to the right side on the home page and hot on “Examination Notification” link. After reaching to the next page go to UPSC CISF AC LDCE 2019 Notification and hit on “(783.77 KB)” link. Read the information mentioned in the notification. Go back to the home page and hit on “Apply Online” link. Finally, take a print out of filled application form; keep it in a plain envelope with all required documents. To Director General, Central Industrial Security Force, 13, CGO Complex, Lodi Road, New Delhi-110003.